Winter parka made out of strong 100 % cotton canvas laminated for water-resistance and breathability, lined with pile and Dupont® ComfortMax®. 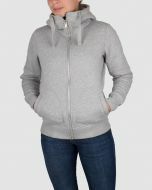 This warm and cozy jacket has both pile and Dupont® ComfortMax® lining around the body and arms. 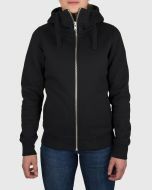 It protects you against snow, rain and wind down to -20°C.